Did you ever wonder what enterprise resource planning or ERP is and how it can help your business? Or perhaps you know a little about ERP but you’re not sure if you should opt for an on-premise or cloud solution and what to expect from your final choice. 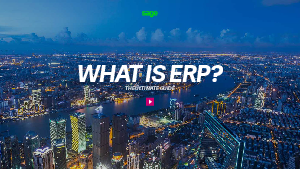 If you’re a business owner, manager or director in a mid-sized or growing business and you’re confused about ERP, this guide will help you.